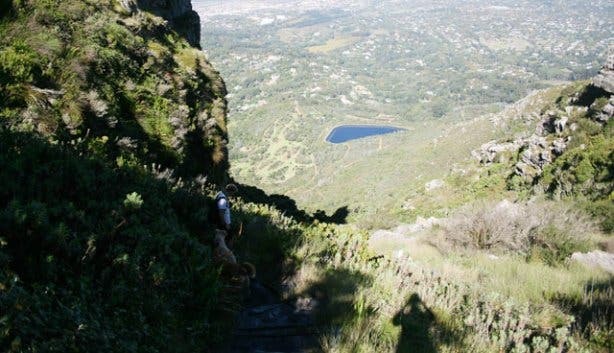 If you’d been hiking on Table Mountain up above Camps Bay in 1870 you may have spotted a dismantled steam train being laboriously pulled up Kasteel Poort, a ravine that runs from the top to the bottom of the mountain. This was the work of Thomas Stewart, a young hydraulic engineer from Scotland, who had been given the task of building a reservoir on top of Table Mountain. Cape Town was rapidly growing, and its water supply was not keeping up; a dam on top of the mountain was the solution to the problem, but what a difficult undertaking this would be. Even in the face of adversity, Stewart and his team managed to complete the project in three years, and a visit to Woodhead reservoir today shows the sheer scale of the task. If you’re interested in visiting, give them a call to find out when they’re open, as the times can be a bit erratic (+27 (0)21 686 3408). The dam was built using sandstone from the mountain above Camps Bay, which was transported across the top of the mountain on the lightweight train. Pay a visit to the Waterworks Museum on the edge of the Hely-Hutchinson Reservoir to spot this relic, and to find out more about the history of these reservoirs. It’s been raining for days but this morning the sun’s shining so I’m kitted out in my V-Lite Altitude Ultra Luxe Wpi Hi-Tecs, shorts, a healthy dose of sunblock and my two very eager dogs in tow. 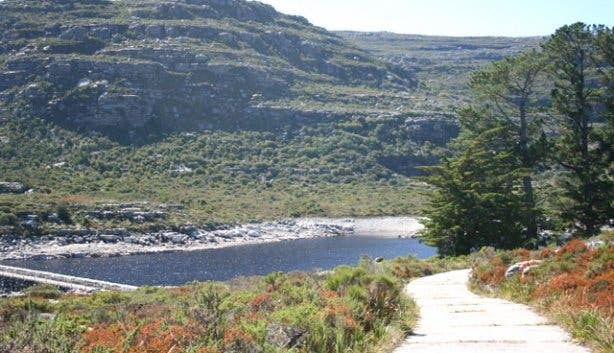 The back of Table Mountain is a great place to hike up if you want to avoid the crowds near the Cable Car or if you can’t face the steep ascent of Platteklip Gorge or Kasteel Poort. Something warm. When we went up it was boiling hot, but on top there was an icy wind; so make sure you pack a thick jersey or a rain jacket. Hat and sunblock. The majority of this walk is exposed, so bring your own portable shade. Hiking shoes. There’s a bit of semi-climbing and a lot of steep paths, so you’ll need shoes with a good grip. The obvious. 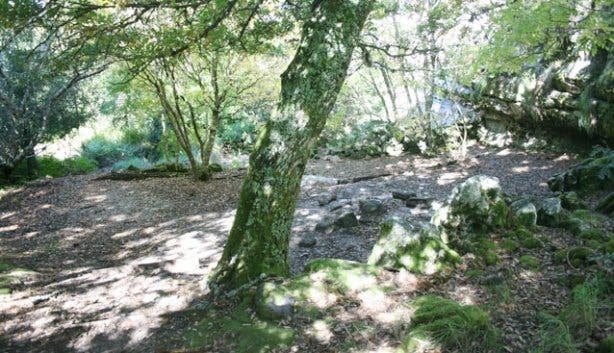 Pack more water than you think you’ll need, and don’t forget lunch, there are plenty of beautiful places for a picnic. Dogs. You’ll need to keep them on a leash; bring extra water for them in the dry summer months. Numbers. Take these two numbers up with you just in case. Call Mountain Rescue if you get lost or injured: +27 (0)21 937 0300. If you’re planning on taking the Cable Car down, then call them to make sure they will still be running once you get there: +27 (0)21 424 8181. Read our article on mountain safety before you go if you aren’t an experienced hiker. Money. If you go through Kirstenbosch, make sure you bring money for the entrance fee. See below for details. There are a number of paths up and down the mountain on this side, so choose your route depending on what you’re in the mood for (or, what you feel like your calves and quads can handle). 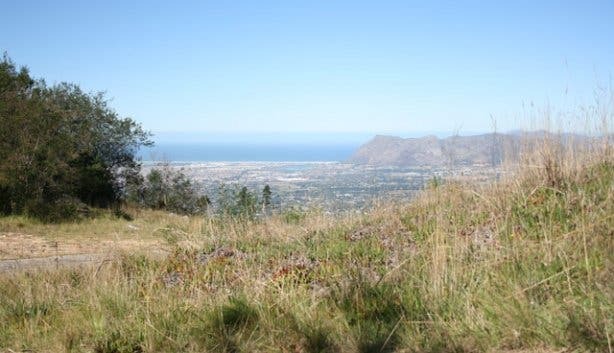 You can wind your way up from Constantia Nek or take the hundreds and hundreds of steps up Nursery Ravine or Skeleton Gorge (be warned – they can be very slippery when it’s been raining). The routes are generally easy to follow and well signposted. Park at the top gate at Kirstenbosch Gardens and take the first left once you’re through the entrance gate. This will lead you along a road that, after about 15 minutes, heads out of Kirstenbosch. You can bring your dogs through as long as they’re kept on a lead. As you exit the gardens (at the tall dead tree) and the gravel road starts to go downhill there is a path leading up to the right, take this up to another gravel road and follow it to the left; this will lead into the forest. When you reach the big clearing, take the small path leading up along the stream to the right. 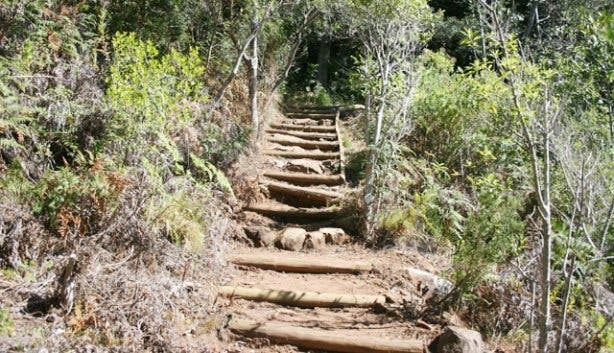 These steps will zig-zag up all the way to Bridle Path, also known as the Jeep Track, a cement road that you can follow all the way to the top. Once you’ve reached the top, the road curves around past Overseers Cottage and onto the Woodhead and Hely-Hutchinson reservoirs. At the end of the road is a signposted path leading to Nursery Ravine; the way down starts with a short, very steep ladder and then descends down with hundreds of stairs. Once you’re at the bottom follow the signposts to get back onto the path into Kirstenbosch. Duration: We did this route in 6.5 hours with a lunch stop by Woodhead Dam. This route is a slightly easier way to access Bridle Path; we did this walk quite often when I was a child, so it’s a good choice if you have children - as long as they’re relatively used to hiking. 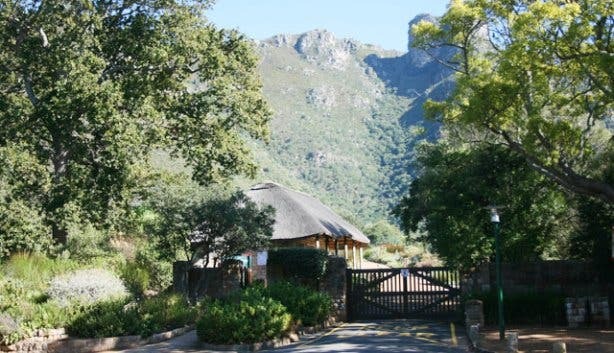 Park at Constantia Nek, and head through the forest on the road that winds up towards the mountain. This will eventually turn into the cement road mentioned in the previous route. From here you can reach the top of the mountain and choose whether to return along the same path or take a quicker, steeper hike down. Duration: This route can take 4-6 hours depending on your route down. 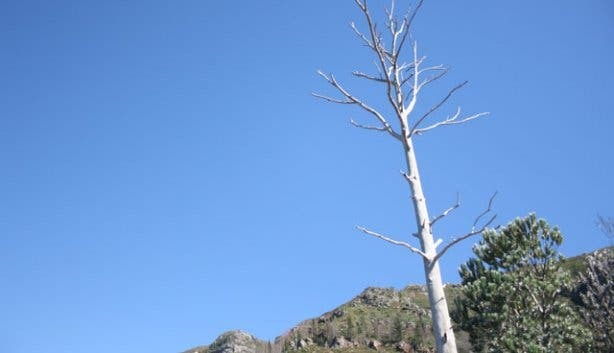 This route’s starting points and ending points differ, so you’ll need someone to either drop a car off at the end of the hike (by the Cable Car), or to pick you up once you reach the end. 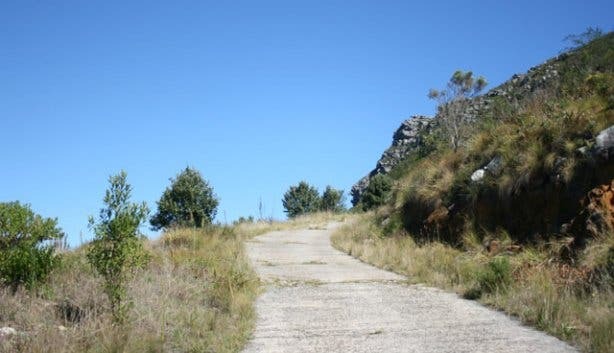 Choose either the Bridle Path or Constantia Nek routes up, and then follow the cement road to Woodhead Reservoir. Cross the dam wall and follow the signs that lead across Echo Valley. The path will take you through the valley and up towards the front of the mountain. Once you reach the table you can catch a ride down on the Cable Car or go down Platteklip Gorge. Duration: This is an all-day hike and can take up to 8 hours, but can be shortened by going down in the Cable Car. Flora: Keep an eye outfor the red disasthat grow in this area, as well as sundews. 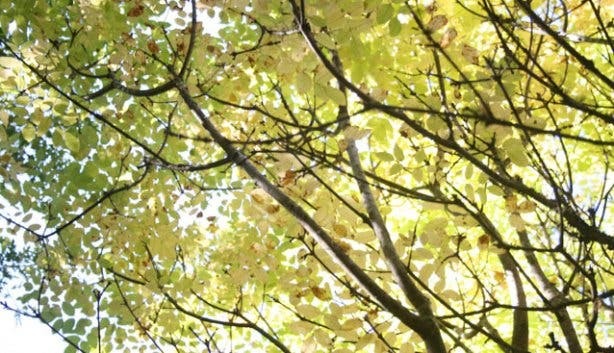 Don’t be surprised if you spot some very out of place trees on your way to Nursery Ravine, this shady area was used as a nursery in the late 1800s, and it’s where Joseph Storr Lister oversaw the planting of a number of alien trees. So when you come across a redwood or an oak, you’ll know you’re in Lister’s Nursery. Fauna: We spotted over 20 golden orb spiders on one small section of the path. The impressive webs of these large insects are yellow, and can stretch across distances of up to five metres. We also disturbed a snake that had been sunbathing on the road; it slipped off after an angry hiss in our direction, before we could identify it. There was an abundance of black girdled lizards and a frog or two. 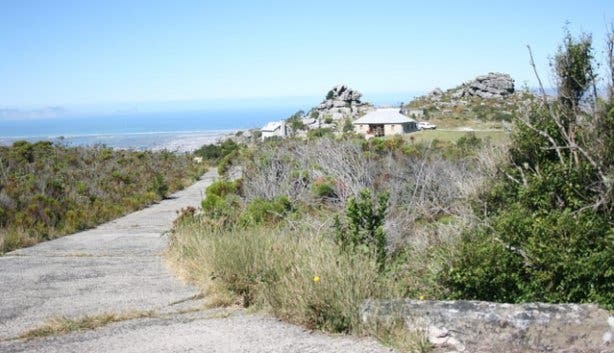 Trivia: You can sleep on top of the mountain in Overseers Cottage, a comfortable house with an indoor fireplace for winter and an outdoor braai for warm summer nights. Check out our Facebook album of our day, and follow us on Twitter for more outdoor activities. Plus, subscribe to our weekly newsletter for a seven day weather forecast.